I attended Trinity College Dublin from 2000 to 2004 earning a BA. mod. in Geology. 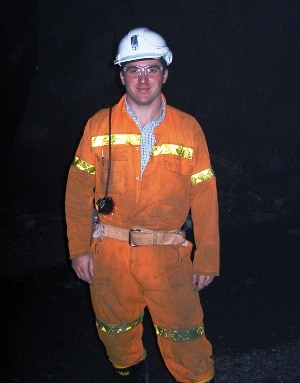 From 2004 to 2007 I worked as an exploration geologist, in Ireland and Mongolia, exploring for a variety of resources. I joined the MDRU in January 2007 enrolling in the masters with thesis program. My thesis focuses on characterizing the lithologies, alteration and mineralization of the Southwest Zone breccia-centered Cu-Au prospect in the Galore Creek alkalic porphyry Cu-Au district. Developing a genetic model for the Southwest Zone will contribute to ongoing international collaborative studies and the fundamental understanding of alkalic porphyry Cu-Au deposits.